CAD Forum - Analysis of stability - will it upset? When you have a homogenous 3D object of an arbitrary shape, you can use the following toll to analyse its stability - if it will stand stable by itself or if it will upset. 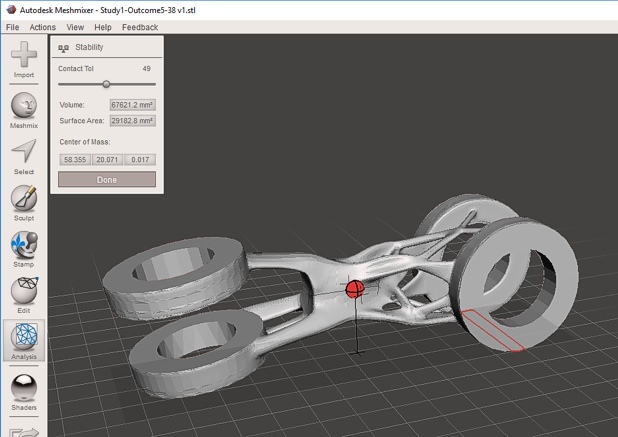 The Stability tool can be found in Autodesk Meshmixer, in the menu Analysis. 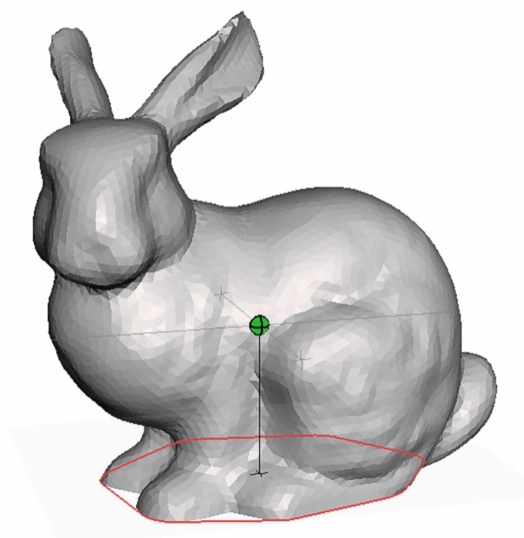 Click it to analyse stability of the loaded 3D mesh model. The result will display the center of mass (green=stable, red=instable) and the red convex hull of contacts with the ground plane (with a given tolerance). An object is considered stable, if vertical projection of its center of mass falls inside the contact region. Tip 12064: 3D offset of a surface. Tip 11575: What is the Linked account in your Autodesk Account profile? Selected tip: Two icon types for attaching DWG xrefs in AutoCAD. Setting the G0, G1, G2 continuity of lofting. « | » AutoCAD display (status bar) jumps and flickers while zooming.